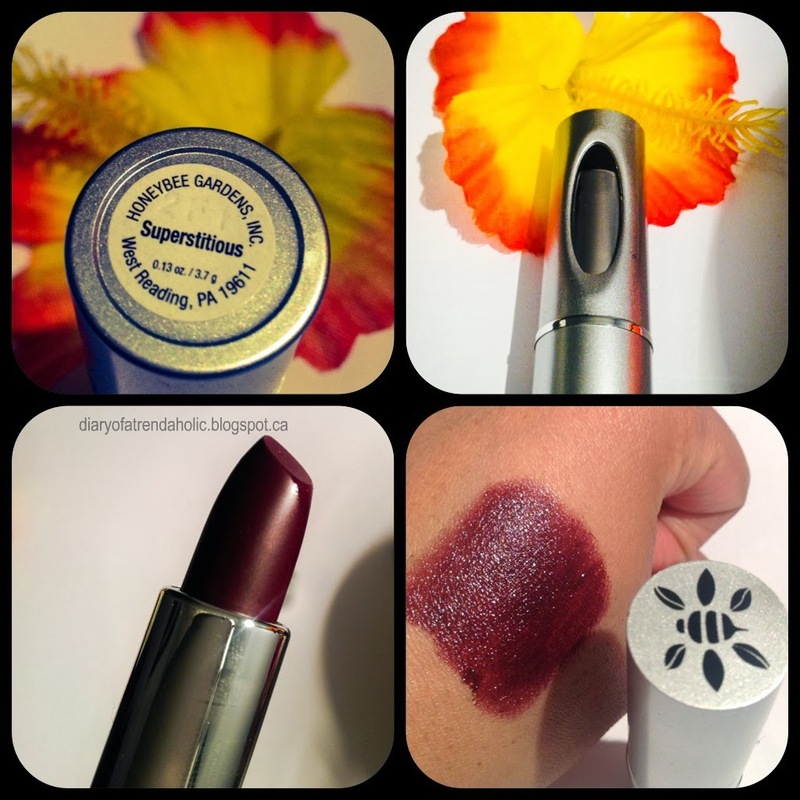 Today I have a review on cosmetics from Honeybee Gardens. For those of you who have not yet heard of this company they sell bath, body and cosmetic products that are derived from natural and recycled material. They do not test on animals and they are an environmentally conscious company. You can find Honeybee Garden's products on their website, health food stores, pharmacies, herb shops and specialty gift stores at participating retailers. 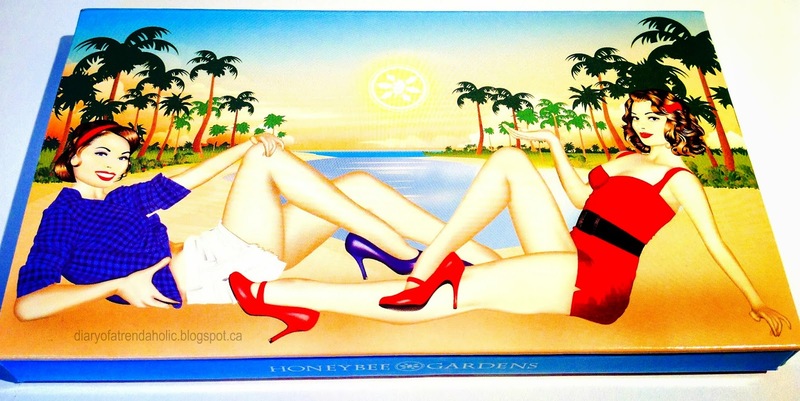 I love the cute bright packaging; it reminds me of old Hollywood glam meets the tropics! 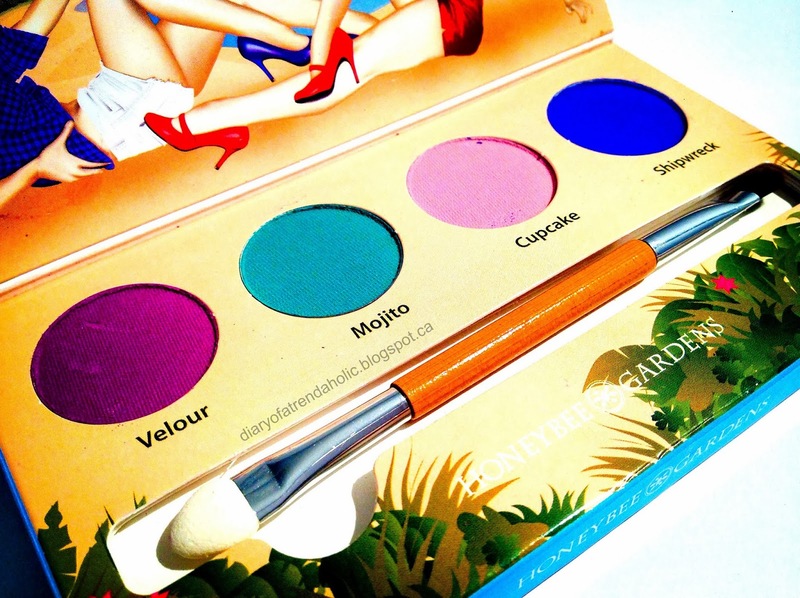 The palette includes a sponge applicator and a bamboo brush applicator. I like that the top cover is magnetized to keep the shadows covered and protected and the palette retails for $29.99, about $7.50 per shadow. The box that houses the colors is actually made of cardboard which isn't usually a material you would associate with a thirty dollar palette, but as I said the company is striving to be environmentally friendly. You can also open the box and slide the colors out if you would like to transfer them into something else. The natural Ingredients in these shadows include aloe, cucumber, and chamomile. The great thing about this palette is the bright, fun colors. The formula is very smooth and velvety in texture. The best way to apply them is with the sponge applicator or with a flat shadow brush used to pat on the color. The shades are very buildable but I found it best to use a good shadow primer. The quality and the pigmentation is great and shows up nicely on the skin. Although there are four colors the combinations you can create is actually quite good. You can use all 4 together, wear them separately or mix, match and blend to create many different looks. They are also great to enhance the lower lash line for a bold pop of color. 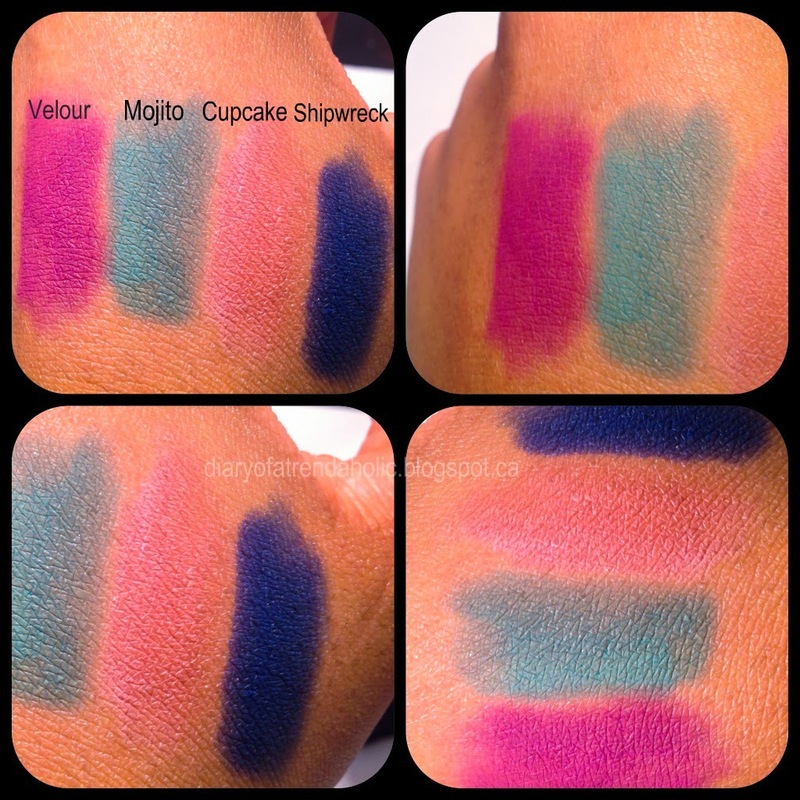 Here are some swatches, as you can see these colors are very striking! Here is a look I created by blending all of the colors together. For this post I wanted to show off the vibrancy of the shades so I used the colors heavily for a saturated finish. I think the colors would also look great paired with shades from other palettes and they can be toned down by applying less. I paired this look with a sheer, slightly shimmery purple gloss. When I went out wearing this look I was stopped by many women asking me what eye shadow I was using and commenting on how vibrant the blues were, I am looking forwards to seeing what else I can create! 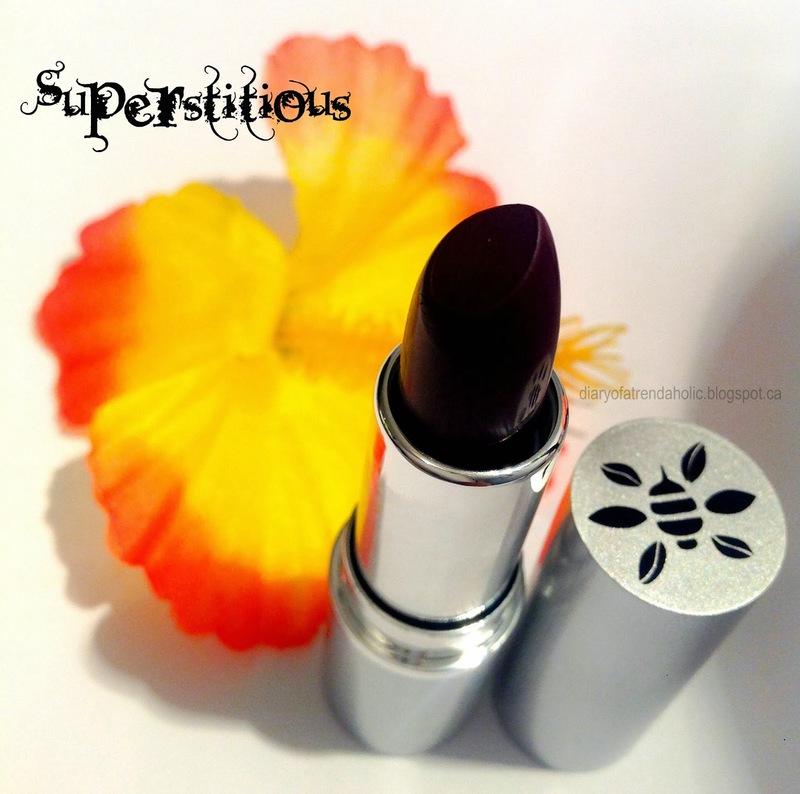 Superstitious is one of the newest shades in the line. 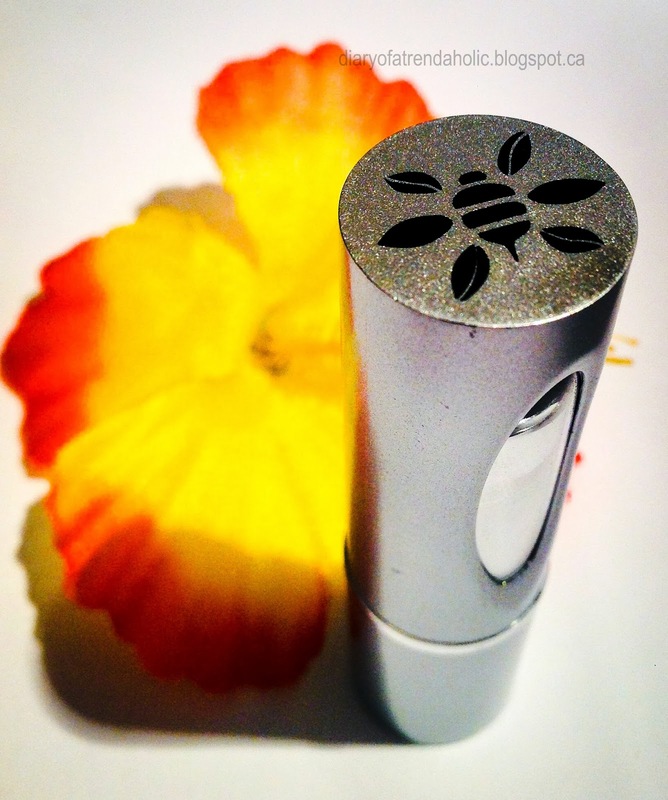 All the lipsticks are paraben free, and contain botanical extracts and beneficial ingredients such as: castor seed oil, coconut oil, sesame seed oil, shea butter, cocoa, vitamin E, oregano, thyme, cinnamon, rosemary, lavender and golden seal. Because of the oils, the formula has a shiny gloss like texture but it is non-drying on the lips and quite pigmented. This shade is a deep blackberry color. It encompasses dark red and deep plum tones. Although I usually opt for brighter shades I am curious to see how this lipstick looks when paired with neutral eye makeup. On me this color looks quite vampy and although it may not be a shade that you can pull off at the office it may work for a night out. I haven't heard of the brand either but I love the cute packaging, reminds me a bit of the Balm. Very pretty vibrant colors and you do so well with those. 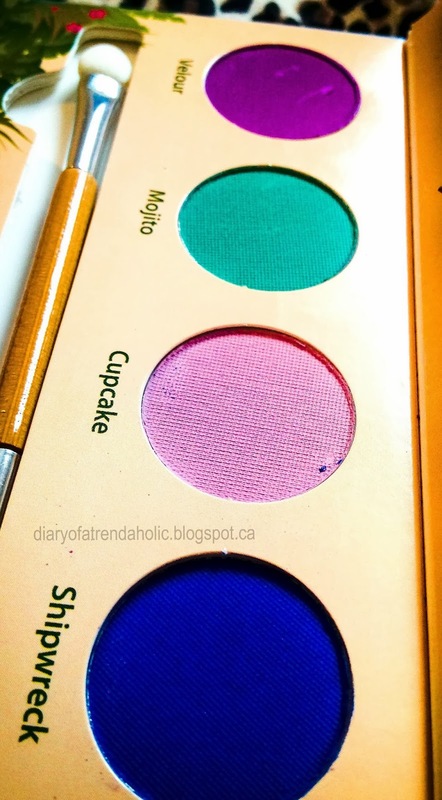 I've never heard of this brand but those colors are gorgeous on you! wow these look awesome <3 i hope they will sell in my country soon! Those eyeshadows are gorgeous!!! I am definitely going to have to get my hands on some of this, the rand sounds amazing. I've been trying to move to more natural products too. I love the look you came up with too! Velour is so beautiful! I can see why you were stopped on the street and asked about your shadow--it really stands out. Love the makeup look you created! Very pretty.